We examined relationships between religiosity and Saudi cancer patients’ beliefs about the spread of cancer, chemotherapy, and radiation therapy through close physical contact. Surveyed were 64 patients seen in university oncology clinics. Assessed were beliefs about the spread of cancer and its treatments, along with religious, demographic, social, psychological, and cancer-related characteristics. Greater religiosity was related to older age, non-Saudi nationality, less anxiety, earlier cancer stage, and greater time since initial diagnosis. 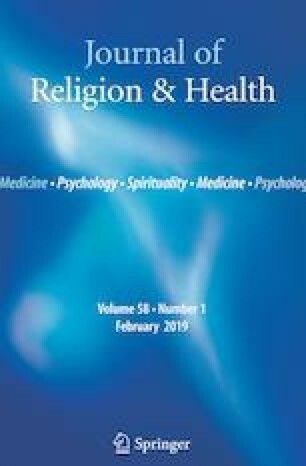 Non-significant trends suggested that religious practices were associated with less, but intrinsic religious beliefs with more concern about contagiousness, although the findings were limited by low statistical power. The authors thank Alshima Dawod Al-Mahnaby and Masheal Taha Alsomali for their tireless efforts and assistance with this project. Funding was provided by Interdepartmental Funds. Snyder, J. (2018). Can your cancer treatment be hazardous to others? Cleveland clinic. Retrieved from https://health.clevelandclinic.org/2015/01/can-your-cancer-treatment-be-hazardous-to-others/. Accessed Jan 10, 2018.